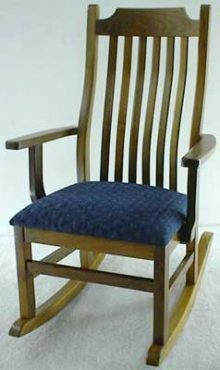 Swaying in a comfortable rocking chair is a great way to relax and relieve stress. Our Mission rocking chairs make a great addition to your living room, and they are a durable furniture solution for the entire family. Children will love playing on them, and you’ll love using them to curl up with a good book. 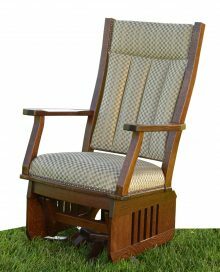 These Mission-style rocking chairs are available in several different styles and designs, including gliders. All of them are crafted according to traditional Mission standards, which originated in the late 1800s. The Mission style is characterized by straight lines, parallel slats and exposed joinery. Many consider this type of furniture design more clean and modern. We use the highest quality hardwoods in the construction of our Mission rocking chairs to ensure lasting durability. These rockers will complement your existing furniture beautifully, and they pair perfectly with our entire collection of Mission living room furniture. 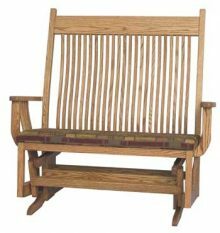 AmishOutletStore.com offers Mission style rocking chairs in several premium wood types and stain colors. Most of our solid wood rocking chairs are available in oak, cherry, Q.S. white oak or maple. Then, these wood types can be stained in a variety of lighter stains, darker stains and even medium-colored stains. Our Mission rocking chairs and gliders are available in several different design types. We have designs with or without cushions, and some cushioned designs are available to be upholstered in either fabric or leather. 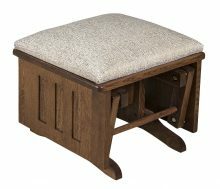 Some Mission gliders are available in a swivel design, and we offer a matching gliding ottoman. With so many options to choose from, you’ll easily be able to find a Mission rocking chair that complements your home’s décor. 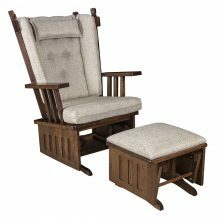 When you buy a living room rocking chair from AmishOutletStore.com, you can be assured you’re getting a solid, dependable rocker made to last for many years to come. Each piece is handmade by expert Amish crafters, resulting in heirloom quality rocking chairs the entire family will treasure. 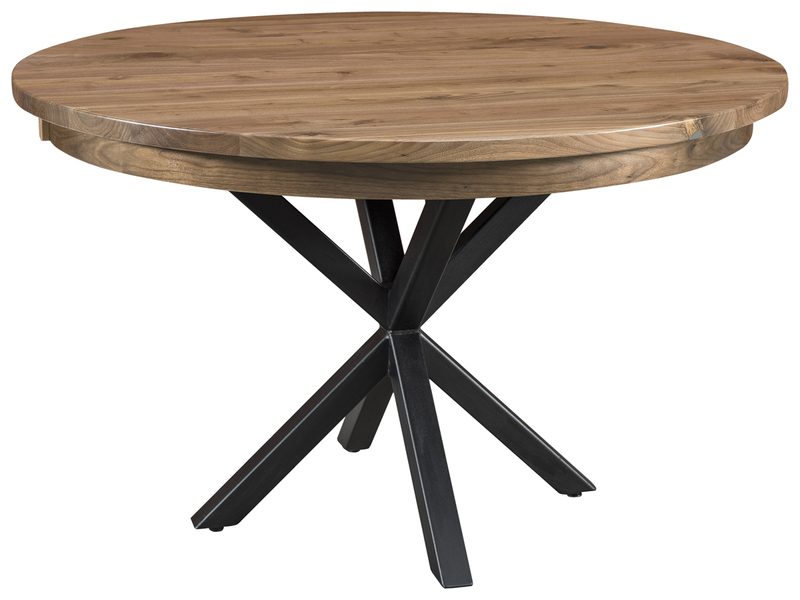 Take a few minutes to explore our inventory of solid wood Mission rockers and gliders. Purchase one today and get up to 33% off the regular retail price!